Proper cylinder wall finish is critical for true piston ring sealing and lubrication. Bore geometry is important as well – round, cylindrical and straight are the buzzwords for optimal sealing and minimal blowby. Thanks to better machines designed to hone cylinder walls more efficiently, those perfect finishes are easier to achieve than ever before. Repeatability and precision are virtually guaranteed if you use the right machines and techniques. As demand for better surface finishes, faster cycle times and lower production costs has grown more fervent, engine builders have more often recognized that the manual machine can’t really compete with programmable automatic honing machines outfitted with load sensing controls. The feature known as “dwell” can sense high spots in a cylinder wall then keep the hone head working on that spot until it is round, straight and has better overall cylindricity. Diamond tends to “plow” through a metal surface rather than cut through it. This can generate heat and distortion in the cylinder bore if the wrong type of equipment, pressure settings or lubrication are used in the honing process. When done correctly, though, it can actually improve bore geometry by producing a rounder, straighter hole. Just as important as all the bells and whistles in modern honing machines, of course, are the abrasive materials used in today’s honing heads. Honing may be a multi-step procedure – rough honing followed by finish honing – or it may be used following a boring operation to smooth the bores to final dimensions and surface finish specs. Proper surface finish is almost an algebraic equation: Block Material divided by (proper hone head + proper abrasive) = proper cylinder wall surface finish. In some cases, a honing abrasive that cuts freely may be more important than the longevity of the honing stones. 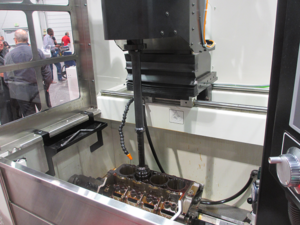 Many engine builders and machine shops utilize a system of thinner stones combined with honing heads that are more closely matched to fit a specific bore diameter rather than a broad range of bore sizes is a current trend in shops today. Conventional vitrified abrasives such as silicon carbide or aluminum oxide are the old standbys and, in many cases, do a fine job for honing operations. These abrasives cut cleanly and do an excellent job of finishing cylinders – as long as you use the right honing procedure to achieve a bore finish that meets OEM specs or the ring manufacturer’s requirements. Silicon carbide works well with ordinary cast iron, while aluminum oxide is better for harder alloys. Conventional vitrified abrasives such as silicon carbide or aluminum oxide can do a fine job for honing operations but today, new honing abrasives manufactured from some of the toughest elements in the Periodic Table are preferred more often than not. But, conventional honing stones also wear quickly, so you have to constantly monitor the honing process and compensate for stone wear to keep the bores round and straight. A set of conventional vitrified honing stones might handle up to 30 V8 blocks (240 to 260 cylinder bores) before they’re worn out and have to be replaced. Today, say honing experts, superstrong, supersharp, superhard honing abrasives manufactured from some of the toughest elements in the Periodic Table are preferred more often than not. Diamond and CBN honing abrasives wear very little so they cut more consistently. This usually allows more uniform finishes and better overall results. Polycrystalline Diamond (PCD) and Cubic Boron Nitride (CBN) abrasives each have their own characteristics, but they will go far beyond what vitrified abrasives can provide. They are much more expensive than conventional honing stones, but they’ll last much longer (some estimates say a set of metal bond diamond honing stones might do as many as 1,500 V8 engine blocks (12,000 cylinder bores) before they have to be replaced. Created using a high-pressure/high temperature (HPHT) process that essentially mimics nature, pure carbon is transformed into Polycrystalline Diamond (PCD) particles. These synthetic mini diamonds have all the properties of a natural, mined diamond, but are more consistent, stable and can be even harder, and are recognized as the toughest material in the world. Honing is designed to leave the cylinder with a surface that distributes oil, serves as an oil reservoir and provides a place for worn metal and abrasive particles to escape. The surface must also have enough flat area (plateau) to act as a bearing surface on which an oil film can form. Most ring sealing and oil consumption problems are the result of an improper surface finish and/or the wrong crosshatch in the cylinders. They’re chemically identical to gemstone quality natural diamonds, but PCD can be manufactured in large quantities and designed to meet specific applications. The HPHT process bonds synthetic diamond particles together with a tungsten-carbide substrate using cobalt. This process creates a thin layer of material consisting of a network of diamonds for a hard, abrasion resistant cutting surface that remains stable in high temperature applications. Because diamond is a harder material and wears more slowly than conventional abrasives, it cuts differently and requires more pressure. Diamond can be a good choice for rough-honing cylinders to oversize because it can remove a lot of metal fast – though finishing requires at least a two-step procedure because the surface will be too rough for piston rings on the initial pass. Diamonds may be forever, but Cubic Boron Nitride (CBN) is no slouch. Also manufactured from natural materials, CBN was designed specifically for applications involving ferrous materials (iron and steel) and is second in hardness only to the diamond experts say it’s twice as hard and four times as abrasion resistant when compared to conventional abrasives. CBN is made using similar conditions to PCD from hexagonal boron nitride. CBN is not only harder than vitrified abrasives at ambient temperature, but maintains this hardness over a wide range of temperatures. Surface finish recommendations can vary greatly depending on the type of rings, the application, the hardness of the block and whether the bores have any type of wear-resistant coating. For example, on blocks with nickel/carbide hardened cylinders or a thermal spray coating, the coating has craters that retain oil better than an uncoated surface. Because of this, the surface finish can be much smoother (as little as 2 to 4 Ra) and less crosshatch can be used. With compacted graphite blocks, surface finishes can also be smoother (12 Ra range) with less valley depth to retain oil (Rpk around 15). 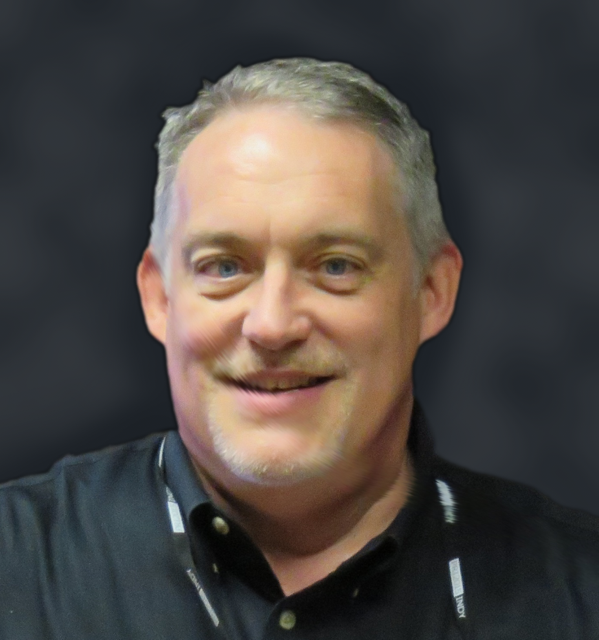 According to Engine Builder columnist, Dave Monyhan, switching from conventional stones to diamond will likely require the use of a higher number grit to achieve the same Ra (roughness average) when finishing a cylinder. For example, if you have been using #220 grit conventional stones to finish cylinders for chrome rings, the equivalent diamond stones might be a #325 grit. If you have been using #280 grit conventional stones to hone for moly rings, the diamond equivalent might be #550 grit stones (the actual numbers will vary somewhat depending on the brand and grade of the stones). The type of surface finish that’s required will vary depending on the application. For a typical stock gasoline engine with moly faced piston rings, honing with #280 vitrified abrasives or #320 grit diamond stones and brushing afterwards will provide a good surface finish. If you want to plateau the surface, use a two-step honing process. After the initial hone with #280 grit vitrified abrasive or #320 diamond, lightly hone the bore with #400 grit vitrified abrasives or #500 diamond stones, then finish with a brush. Brushing cleans off the broken peaks and debris from the surface. Remember the farming analogy from earlier? Imagine a fresh farm field – the earth is rough and needs to be smoothed out before maximum growth is achieved. Diamond honing stones tend to leave a lot of folded and torn metal on the surface, so the bores usually need to be brushed to remove the debris when they are finished. Many different names are given to the same tool and process. Some call it a plateau hone, a soft hone, a whisker hone or an ultra-fine hone. But they all do the same thing: they sweep across the surface to remove jagged peaks, folded and torn material. Plateauing the bore with a two-step honing process leaves a flatter surface with more bearing area that improves ring seal and reduces the time it takes for the rings to seat. Increasingly, a new process for finishing is being introduced to the industry as well that is showing success. Eliminating the brushes and using a 220 grit stone then finishing lightly with an 800 grit or in some cases an 900 grit stone helps keep the RK lower than the RVK. Ask your machine or abrasive suppliers for their latest recommendations. After the cylinders have been honed, don’t forget to scrub them out with warm soapy water and a brush to remove all honing and metallic debris. This is an often-overlooked step that can ruin a new set of rings in a hurry. 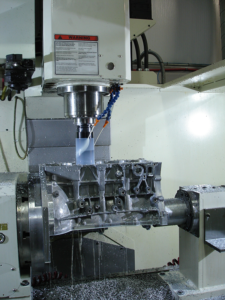 The use of new aluminum alloys in even today’s stock engines means engine builders and machinists must pay careful attention to the material used in the blocks they’re machining. Where in the past, ring manufacturers would typically recommend a crosshatch angle of 42 to 45 degrees (included angle). 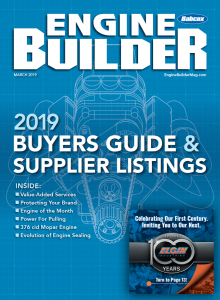 For most stock gasoline engines or a narrower 20-30 degree crosshatch angle for performance engines with low-tension rings, today either the manufacturer of your honing equipment or the supplier of your piston rings (or both) will likely have recommendations. In many cases, these aluminum blocks don’t include cast iron liners, so the alloy does all the work. For cylinders coated with nickel and silicone carbide (various trade names, including Nikasil and Alusil are used), the crosshatch angle is often reduced to 10 to 15 degrees or less. When refinishing cylinders, bore to within .005˝ of final dimension, or rough hone to within .003˝ of final dimension, then finish hone to size with a finer grit abrasive (#280 or #320) followed by a plateau hone (#400 or #500 grit stones) and a brush. Watch out though – too smooth can be as dangerous as not smooth enough. If a cylinder is bored or rough honed to within .0005˝ or less of its final size, the final honing step won’t leave enough depth in the valleys to provide adequate oil retention. The crosshatch will quickly scrub off resulting in high oil consumption and wear. Crosshatch grooves are too wide or deep. This can result in abnormal wear, excessive oil consumption and a prolonged ring break-in period. This can be caused by using a stone grit that is too coarse, poor stone breakdown, coolant viscosity too high or excessive stone pressure. Crosshatch grooves are irregularly spaced. This can prevent proper oil distribution and slow ring break-in. Crosshatch grooves contain a lot of folded and fragmented metal. This can slow ring seating, cause scratching and high wear, and increased oil consumption. The cause is insufficient dwell strokes at the end of the honing cut, or using stones that are too coarse. Plateau burnish. This can slow ring seating, increase blowby and hurt fuel economy and performance. The cause is honing with loaded vitrified stones that are too hard, contaminated coolant or wrong coolant viscosity, excessive stone pressure, or too long a dwell. One-directional cut crosshatch. This can cause excessive ring rotation, rapid wear, poor ring seating and increased blowby. The cause is excessive play in the honing equipment or hone head. Crosshatch angle too low. The result may be poor oil distribution, high impact forces on the rings, slower ring break-in and increased ring wear. It is caused by low reciprocation rate compared to honing rpm. Metal pulled from bore surface. This creates pits that increase blowby and oil consumption. Can be caused by using stones that are too hard, excessive stone pressure, or not enough honing time. In most cases, consultation with your technical contact at your machine supplier and piston ring manufacturer will help you determine what combination of speed, feed and abrasive material is best for your application.